Junior Grammar’s Uniform Shop and Cottage Shop are located in the two cottages overlooking our Grammar Green, at the front of the School. 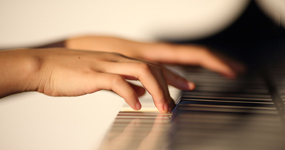 Visitors can park in the main car park accessible via Chermside Road. All new uniform items may be purchased from the Uniform Shop, whilst the Cottage Shop stocks a range of second-hand uniform items in good condition, along with stationery items and other merchandise. Please contact our Uniform Shop or Cottage Shop directly for assistance. For second-hand uniforms, book bags and stationery. Uniform and Cottage Shops from 9.00am to 3.30pm. 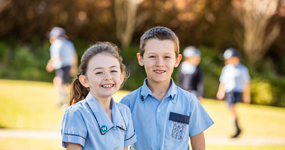 Students in Years 1 to 6 must wear full formal uniform to school every Monday to Thursday, including their formal hats and bring their Junior Grammar Sports Uniform for Physical Education and sports training. On Friday, our boys and girls must wear their Junior Grammar Sports Uniform to school. Our boys and girls wear a navy IJGS polo with navy IJGS shorts. Navy or brown sandals are worn in summer. Predominantly white sports shoes with velcro fasteners and white socks are worn in winter and for sports. All children wear a navy IJGS sun hat and carry an IJGS small-size Backpack. View our EEC Uniform Information and Price List. Prep Boys wear a navy/white IJGS polo with navy shorts and a navy IJGS reversible bucket hat. Prep Girls wear a sky-blue IJGS polo with navy shorts and the navy IJGS reversible bucket hat. Predominantly white sports shoes with velcro fasteners and white socks are worn by both girls and boys year-round. All Prep students carry the IJGS small-size Backpack and require an IJGS book bag. Our formal uniform is introduced in Year 1. Boys wear a blue IJGS formal shirt, formal shorts, formal IJGS hat, grey socks with the school stripe, school badge and house badge. Boys in Years 5 and 6 are required to wear the Junior Grammar School tie on formal occasions, and in the winter months. 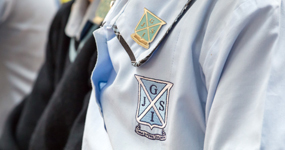 Girls wear a sky-blue IJGS formal blouse, tartan skorts, IJGS formal hat, white socks, school badge and house badge. Navy tights are worn in the winter months. Students in Years 3 to 6 are required to wear black leather, lace-up, traditional-style school shoes. Students in Years 1 and 2 may have velcro fastenings instead of laces. Shoes should be polished regularly. All Junior Grammar students must carry a full size IJGS medium-size Backpack and IJGS book bag. Years 1 to 6 wear a Sports uniform every Friday, and must bring it to school on days they have PE scheduled in their timetable. Boys wear an IJGS navy/white marle polo with navy sports shorts, the IJGS reversible bucket hat, and predominantly white track shoes with non-marking soles. Girls wear an IJGS sky-blue polo with navy shorts, the IJGS reversible bucket hat, and predominantly white track shoes with non-marking soles. Boys and girls also wear the track top in winter with the PE uniform only. Swimmers and an IJGS sun safe swim shirt are required in Terms 1 and 4 for Years 2 to 6 and in Term 4 for Year 1. Our uniform changes slightly in winter to ensure our boys and girls stay warm. A navy pullover is required for boys and girls and navy tights are required for girls. There is also the option of navy trousers for boys. 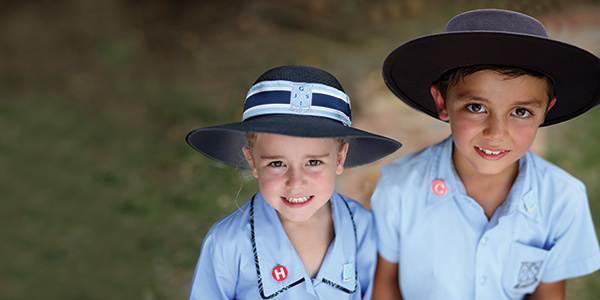 Uniform orders can now be placed online through www.flexischools.com.au. Orders for students in Years 2 to 6 must collect their order from the Uniform Shop. Orders for EEC, Prep and Year 1 will be delivered to students before 2.30pm. 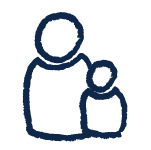 – For each child, click ‘Add a student’ and follow the prompts to place an order. For more details, please view our Uniform Guide here. Previously owned uniforms in good condition may be purchased from the Cottage Shop. Current Junior Grammar parents may sell school uniform garments by taking the items to the Cottage Shop. Please see Ipswich Junior Grammar School’s stationery requirements below, by year level. Students’ stationery may be ordered via the internet by following the instructions on the order form available below. All can be home delivered if requested. If there are any enquiries about a student’s stationery requirements please contact the Cottage Shop on +61 7 3454 4432 or email cottageshop@juniorgrammar.com.au. 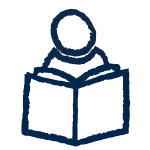 For new students enrolling during 2019, stationery requirements may be ordered online and delivered to the School for the student to collect or purchased from their preferred retailer. It is the School’s expectation that every child arrives at School on their first day with all of the appropriate stationery. 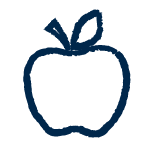 Looking for Ipswich Girls’ Grammar School stationery lists? Visit girlsgrammar.com.au/our-school/uniforms#stationery to see the lists for Years 7 to 12.